Even before this single dropped my interest was piqued by the involvement of Danger Mouse as producer for both this song and its upcoming album, Wide Awake!. Parquet Courts’ post punk approach intentionally sounds like a bucket of bolts. Danger Mouse is a producer who revels in sample-based soundscapes, has a clear Spaghetti Western fetish, and has also taken turns producing stadium giants the Red Hot Chilli Peppers, U2, and Adele. How would these two gel? From the opening power chord blast, it’s clear that Danger Mouse is wily enough to not toy with the Parquet Courts formula. This is a textbook case of “if it ain’t broke don’t fix it” – the vocals and guitar racket sound slightly less trebly than previous releases, but Parquet Courts’ rickety sound remains intact. The ethos applies to the songwriting too – this is classic Parquet Courts in distilled form, two songs for the price of one at a jot over three glorious minutes. Almost Had to Start a Fight opens with a stuttering vocal over drum blasts, the verses bookended by a rolling rhythm as frontman A. Savage proclaims “Why am I searching for reason? / I’m in the chaos dimension”. Our protagonist grows drastically more morbid, opening up about almost starting a fight and finishing on an existential crisis about death. The lyrics, as with most Parquet Courts classics, are both relatable and tongue-in-cheek, echoing our own sentiments while also being a playful nod to that detached hipster friend we all know who hides his neuroticism behind a bunch of overwrought proclamations. A surf rock lick signals the transition to In and Out of Patience. This one trades existential angst for straight frustration and the music moves to match – the riffs now stutter, the tempo ups itself a notch. “In and out of patience/ I just can’t keep it around/ Most of mine’s been taken/ Is there a finite amount?”. Our protagonist has given everything – his time, his patience, his love – and he’s left scattered and dejected. And anxious about being burned alive in the subway because his train is late. 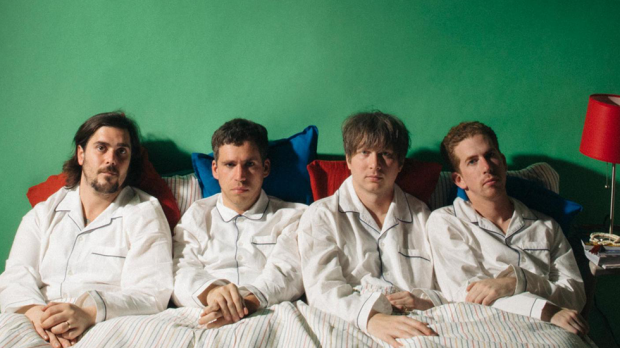 In three minutes Parquet Courts summarise everything there is to love about their approach. And they finish the with a nod to the next song on the album – Freebird II. I for one would love to hear the Parquet Courts approach to the melodramatic rock ballad trope, guitar solo and all. Can’t wait for the album.